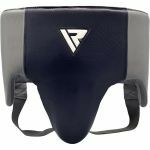 Revolutionise your training with the RDX T1 Boxing Paddles. A much more efficient way of training, these paddles reduce wrist, elbow and hand injury incurred through constant padding drills for a healthier experience. These high quality pads are comprised from full-grain cowhide leather which have been hand stitched and crafted for speed and combo drilling. Foam padding is compressed to form a thick slab of shock absorbent padding which dissipates impact evenly. Protective - A much more efficient way of training, these paddles reduce wrist, elbow and hand injury incurred through constant padding drills for a healthier experience. 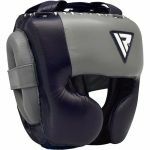 Durable - These high quality pads are comprised from full-grain cowhide leather which have been hand stitched and crafted for speed and combo drilling. Shock Absorbent - Foam padding is compressed to form a thick slab of shock absorbent padding which dissipates impact evenly. 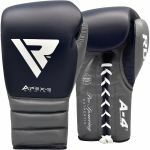 Who are the RDX T1 Boxing Paddles For? Completely change your training with the RDX T1 Boxing Paddles. A much more efficient way of training, these paddles reduce injury for a healthier experience.